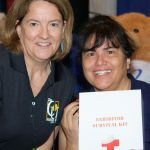 Every exhibiting vendor at the 2017 MD|DC Credit Union Association's Annual Meeting and Convention was treated with a "Survival Kit," filled with bottled water, mints, hand sanitizer, and snacks - a display of gratitude for their important role. 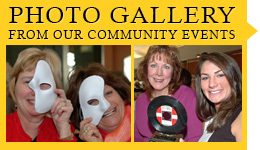 It's a Foundation tradition that dates back to 2010. The Foundation's 2017 Wine Me Up! 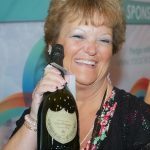 event at the MD & DC Credit Union Association's Annual Meeting & Convention in Ocean City Maryland was the most successful wine pull to date. 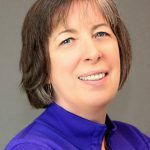 Linda Albrecht, a long-time supporter of the Credit Union Foundation MD|DC, and member of the Foundation's Advancement Committee, has been appointed to a three-year term on the public charity's Board of Directors. 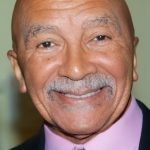 Retired MECU of Baltimore CEO, Bert Hash, has joined the Foundation’s Roycroft Masters. The Masters are a select group of credit union professionals who provide pro bono advisory sessions for MD & DC-based credit unions with assets of $100 million or less. 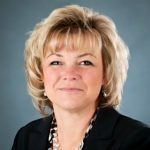 The Credit Union Foundation MD|DC has announced the appointment of Joan Moran, President/CEO of Department of Labor FCU, to the Board of Directors. The Directors also elected the Board's leadership team at their May meeting. 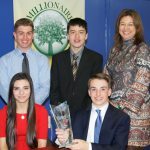 Student members of the Applications and Research Lab's Academy of Finance Millionaire's Club in Ellicott City, MD, emerged triumphant at the recent Maryland Personal Finance Challenge held at M&T Stadium, Baltimore, MD on April 4, 2017. Dr. Maddy Halbach, Millionaire's Club Advisor at the Applications & Research Lab in Ellicott City, is named Teacher of the Year. 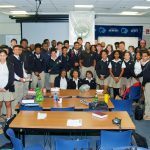 Market USA FCU, Laurel, MD has sponsored a “Millionaire's Club” financial education experience at St. Vincent Pallotti High School, Laurel, MD; the credit union's first Club and the thirty-fourth Club overall. 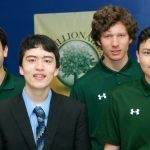 APGFCU, Edgewood, MD; has sponsored their first Millionaire's Club at North Harford High School in Pylesville, MD, making North Harford the first school in Harford County to host the popular financial education experience. The students at Calvert Hall now have a new, engaging resource for developing their personal financial skills while enjoying competitions with other students locally, statewide, and across the nation.